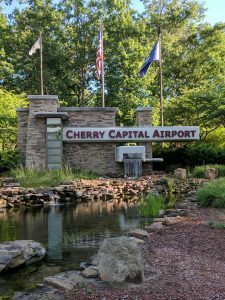 Situated in the northwest corner of Michigan’s lower peninsula along the shores of Lake Michigan’s East Grand Traverse Bay, the Grand Traverse Resort & Spa is 10 minutes from Cherry Capital Airport (airport code: TVC). Regional Jet service is offered by American Eagle, Delta and United Express. Direct flights are offered from major international airports in Dallas (DFW), Detroit (DTW), Chicago (ORD), Minneapolis (MSP) and Denver (DEN). Seasonal service is offered from New York’s LaGuardia. The Resort is within a single day’s drive from most major Midwest cities and has a generous amount of free parking available. The Traverse City Tourism office has a wealth of information about the Traverse City area, including transportation options and maps. Travelers staying at the Grand Traverse Resort are encouraged to take advantage of the resort’s free shuttle between airport and the hotel. Please contact the transportation department directly to schedule your shuttle from the airport. Their direct number is +1-231-534-6425.